This patient wanted to feel more confident. She had always hated her two front teeth and smiled with a closed mouth. 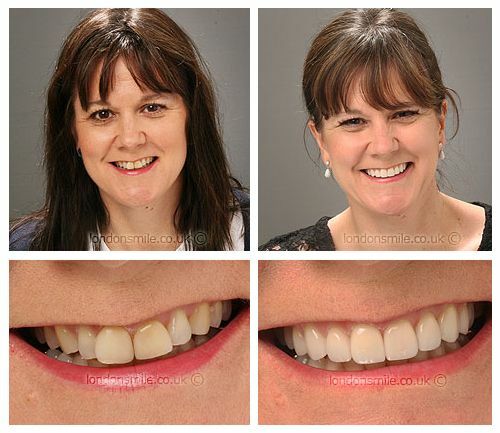 Eight veneers were placed on her top teeth to brighten and refresh her smile! She is more than happy with the result. I wanted to feel more confident, I have always hated my 2 front teeth. So I smiled with a closed mouth. Eight Veneers on my top teeth. Yes! I needed a root canal which was painless!! I feel more confident in dating. All of the team were very nice, approachable, helpful and professional.